Well, that’s a coincidence. Having blogged about the former Woolworths in Llandudno just a couple of days ago, Alworths has announced today that it will be taking over the site for its 11th store – and its first in Wales. Having been occupied by a discount book store (Publishers Book Clearance) from April last year until just a few days ago, the Mostyn Street premises will reopen as Alworths on 13 August – earlier, it would seem, than the unofficially revealed new Alworths stores in Hertford and Tiverton. I’ve made a bit of a habit lately of rumbling Alworths’ store plans ahead of the official announcements – probably to the despair of the lovely PR people – so all credit to MD Andy Latham and his team for getting one over me with this latest news! 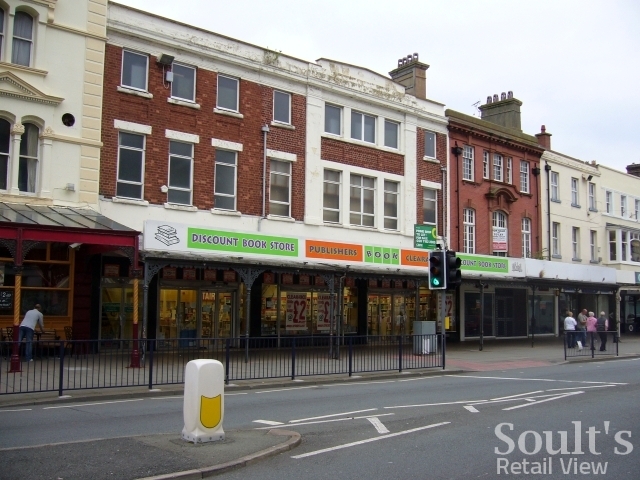 The only whiff I got ahead of time was somebody finding Soult’s Retail View yesterday via a search for ‘Alworths Llandudno’ (which naturally piqued my curiosity), coupled with an awareness that the Llandudno site was now vacant again. Interestingly, just like the new Llandudno shop, several of the latest Alworths stores occupy former Woolies units that have temporarily housed other retailers – including those in Forfar and Cupar (previously Pound-Mart), and Hertford (formerly Well Worth It). As well as monitoring the BT Phone Book, it seems I need to keep an eye out for ‘end of lease’ sales as a possible sign of an impending Alworths. 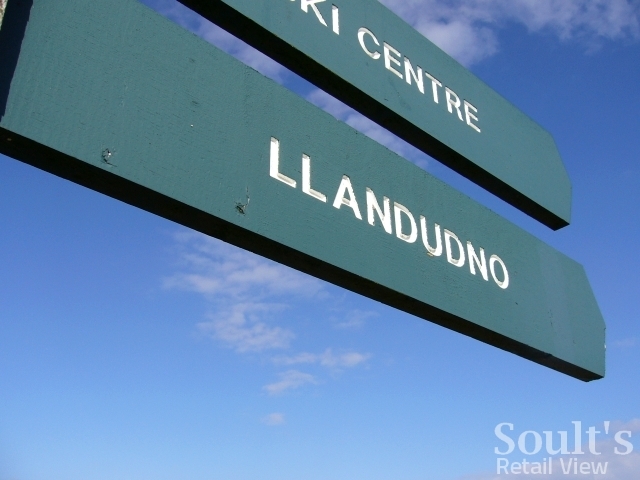 Talking about the Llandudno outlet, Andy Latham rightly flags up that it will be Alworths’ “first coastal store”, and that Alworths will therefore “tailor the ranges accordingly”. In addition to the usual Alworths ranges, “holiday essentials and a range of beach toys” are promised during peak summer months. This sounds like a canny move – after all, Llandudno is a vibrant and highly attractive seaside resort, that still attracts a great many holidaymakers to enjoy the Great Orme Tramway, the Haulfre Gardens, and the town’s impressive pier. 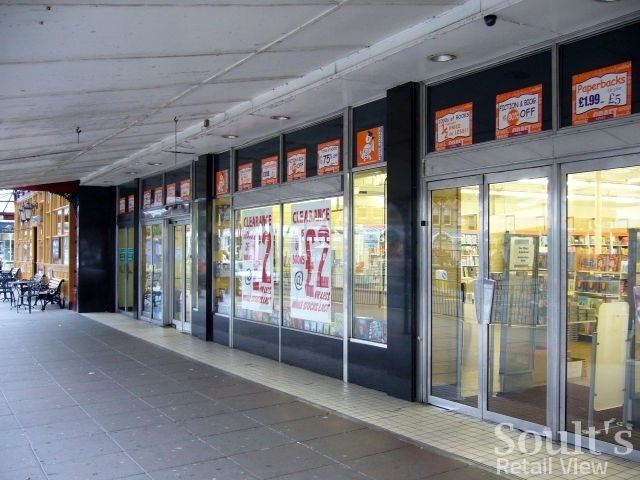 The top end of Mostyn Street has reportedly suffered from the loss of Woolworths, so a store that caters equally for both locals and visitors may be just what’s needed to perk things up again. This inevitably raises the question of where in Wales Alworths might open up next. 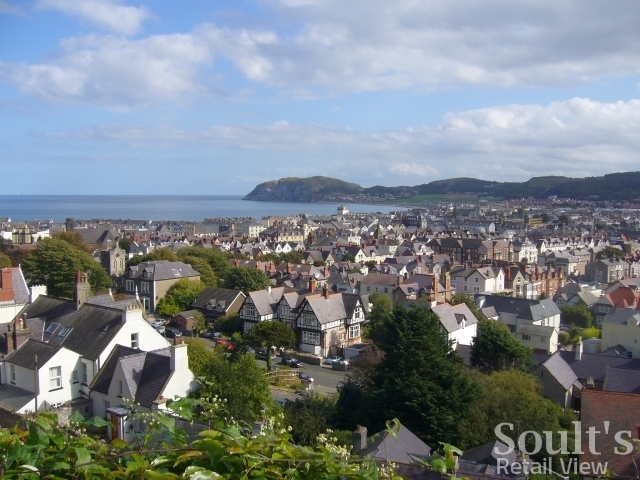 As we know, many of the old Woolies sites have been snapped up already, including several – among them Barmouth, Cardigan, Chepstow, Porthmadog and Pwllheli – by The Original Factory Shop, a retailer with a product mix not too dissimilar to that of Alworths. Of the three vacant Woolies sites in Wales that I blogged about a couple of days ago – in Caernarfon, Holyhead and Colwyn Bay – the former would seem the most likely potential location for an Alworths. Colwyn Bay, in contrast, has quite a bit of competition already, including Home Bargains, Instore and Argos in the buzzing Bayview Shopping Centre, and the planned branch of The Original Factory Shop that I mentioned in my earlier post. With Alworths now making its presence felt in North Wales, we’ll have to wait and see whether Holyhead is indeed part of its future plans. That’s exactly my understanding Dave! Since the reform of empty property relief in 2008 (where only the first three months of a property being empty are now exempt from business rates), there has also been a bigger incentive for landlords to see their properties rapidly reoccupied. The irony, of course, is that Alworths took advantage of a similar flexible deal in Amersham, only to get booted out at short notice to let Waitrose move in! However, not that Alworths is more established and has proven successful, I imagine that it is signing longer-term leases. 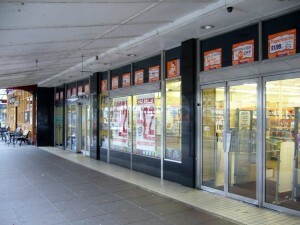 Hi Graham, I was just re-reading your post and I started wondering about Publishers Book Clearance, who seem to inhabit vacant shops that are still available to rent (they’ve moved 3 times in Llandudno, to my knowledge!). I take it they have some sort of short term lease at (I assume) a significant discount to the asking price for a normal lease, on the understanding that the premises will still be marketed and they would be forced to move on with relatively little notice? If that is the case, then it seems like a smart way for a business like theirs to get a good location at relatively low cost. 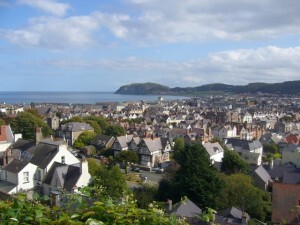 Llandudno’s main shopping street, Mostyn Street, has been recovering strongly this year. Besides Alworths, we’ve had a branch of Greggs open, Pandora opened a few months ago, and both Animal Clothing and Past Times are currently readying units for opening. Thanks John – I’d just seen that story about the Alworths relocation in Didcot! I believe the current Alworths unit in Didcot is about twice the size of most of the other Alworths stores (i.e. 10,000 sq ft compared to 5,000 or 6,000 sq ft), so perhaps they are finding that the smaller stores are working better anyway. 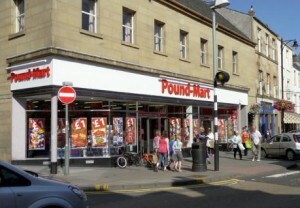 Although I have been down to that retail park (to Argos) I haven’t really looked at the other shops there. Having said that, general trade in Heanor appears not to have been adversely affected by those new shops, and that rent does seem cheap. As to alworths, their first branch is relocating within that Didcot shopping centre soon – it appears that they, too, were on a temporary cheap lease. I should ask my parents, John – I was brought up in Heanor, and would have been taken to Woolies in my pushchair in the mid 1970s! It will be interesting to see where Alworths heads next – with stores in the south, Scotland and now Wales, there is still a big gap in the Midlands and north of England. In Heanor, however, I remember seeing when I was there in December that the nearby Heanor Retail Park featured Argos Extra, Poundstretcher and Home Bargains, so perhaps there wouldn’t be room for another variety store? The 3750 sq ft is the gf sales area. There is also the first and second floor which together are a further 4400 sq ft. But it is being advertised in the basic info as three floors at the 3750 (without explaining that that is just the gf sales area). So I reckon there is an issue with the marketing. I got the floor area details from the rates information on the Valuation Agency site. I didn’t know the store years ago, but it is possible that it was originally a two floor store which was reduced to gf only. The actual rates payable would currently be about £9k per year (with the upstairs rated as storage). I certainly think it would be worth alworths (who might well know what the Woolworths turnover was there) exploring the matter, in the light of the low rent. I think that anyone who takes the agents basic details on face value who is not familiar with the premises would be put off straight away. I was in Heanor yesterday, and spotted, in a window display further along the road, some large old photos of the town centre from years ago. Ands in one, that branch could be seen with the old “F W Woolworth & Co Ltd” fascia in the gold solid lettering on the red background. Oh to return to that era. Are you suggesting that the store in Heanor would be tempting for Alworths, or just in general? As to temporary tenants of ex-Woolworths branches leaving, that has recently happened to the branch at Heanor in Derbyshire, where the Lighthouse charity shop (which you showed in another blog) have relocated to the nearby shop left vacant when Ethel Austin failed. 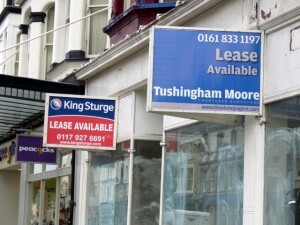 So it is empty again and still has the “To Let” sign up, and when I checked, the asking rent is now down to £10k p.a. I would have thought that at that low level, even though it is a smaller branch (about 3750 sq ft) that it would be tempting.